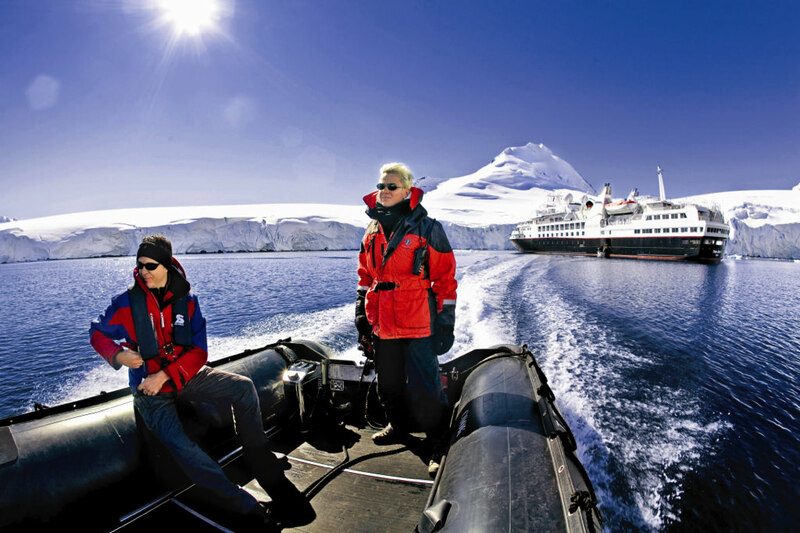 Journey with us to the earth’s southernmost continent, Antarctica, on Silver Explorer. Photo courtesy NASA via Wikipedia. November 15, 2013 — This coming Friday, I was supposed to be boarding a jet bound for Ecuador, where I would board the new Silver Galapagos. 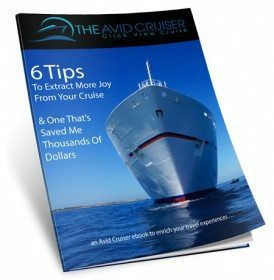 However, about two weeks ago, Silversea Cruises presented me with an offer that I could not refuse: Would I consider cruising instead to Antarctica on Silver Explorer? I’d look forward to an opportunity like this one for as long as I can remember. Galapagos could wait. Antarctica was calling. It took me all of two seconds to say yes. The backstory. 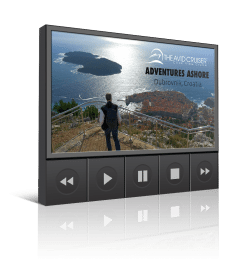 After some wrangling, Silversea’s public relations department had managed to accomplish the unthinkable: convince the company’s controllers to open space for media. Understandably, Silversea wants as many revenue guests on its sailings as possible, so giving up coveted space for journalists wasn’t high on the priority list for the number-crunchers. To this day, in fact, no journalist has ever been invited on Silver Explorer’s always-full Antarctica sailings. Two slots were granted for the December 2 sailing, Voyage 7326. I couldn’t make that one because of a commitment to A-ROSA and what promises to be an enjoyable Christmas Markets Cruise on the Rhine River. So instead of being the first journalist to sail to Antarctica on Silver Explorer, I’ll be the second when Voyage 7327 begins on December 12. I’m reading lots about Antarctica and gearing up for an exciting adventure. I hope you’ll join me here beginning December 12 for a spectacular voyage to the ends of the earth, Antarctica on Silver Explorer. December 22 Ushuaia, Argentina 8:00 AM Disembark Silver Explorer; return charter flight to Buenos Aires. Departing from Buenos Aires, fly to Ushuaia and transfer to the port. Embark Silver Explorer and bid farewell to Tierra del Fuego, the “Land at the End of the World.” This evening, after settling in and setting sail, you will be introduced to your Expedition Team. The Drake Passage has a notorious reputation for its turbulent seas due to the Antarctic Convergence, a natural boundary where cold polar water flows northward and warmer equatorial water moves southward. When they meet, nutrients are pushed to the surface, often attracting a multitude of seabirds and whales. Spend some time on deck watching the horizon and the variety of seabirds that glide in the air currents of our ship’s wake such as the black-browed albatross, sooty shearwaters and white-chinned petrels. Have your camera ready to capture the magical color of a midnight sunset. As we set sail on our initial transit, familiarize yourself with the elegant Silver Explorer and the friendly Expedition Team members. Attend wildlife, geography and history discussions hosted by our expert naturalists and guest lecturers that will prepare you for the exciting adventures that lie ahead. When available, visit the Bridge and meet our Captain and officers; information will be posted in the daily onboard newsletter. While sailing to Antarctica, every turn can reveal a new and breathtaking adventure. As the pack ice becomes thicker, it’s apparent to everyone that we are moving closer into Antarctica’s vast white wilderness. Remote and otherworldly, Antarctica is irresistible for its spectacular iceberg sculptures and calving glaciers, and for the possibility of up-close encounters with marine mammals. Watch for seals sunbathing on slow-moving ice floes and for humpback, Minke, and orca whales to surface from below the frigid waters. Each day we will attempt Zodiac departures, and, if conditions permit, we will cruise among colorful icebergs or step ashore to visit a variety of penguin rookeries and perhaps scientific research stations on complimentary excursions led by our team of natural history experts. As you step off the Zodiac to explore the island, it’s likely you’ll be greeted by the locals … penguins. Penguin species here include gentoos and chinstraps. Other annual seabirds include the Southern giant petrels. While heading back to the ship, you may have company as a leopard seal or southern elephant seal follows alongside your group’s Zodiac. Brown Bluff is an ice-capped, 745-meter-high (2,200 feet), flat-topped mountain with a prominent cliff of reddish-brown volcanic rock. Adelie and gentoo penguins, kelp gulls, and pintado petrels use Brown Bluff as a breeding area. Birds such as the all-white snow petrel and skuas may be seen from a distance. As you explore the area, a Weddell seal may be seen basking in the sunlight. Wait long enough and you might see the Adelie penguins standing along the rocks, eventually making their way into the surf. 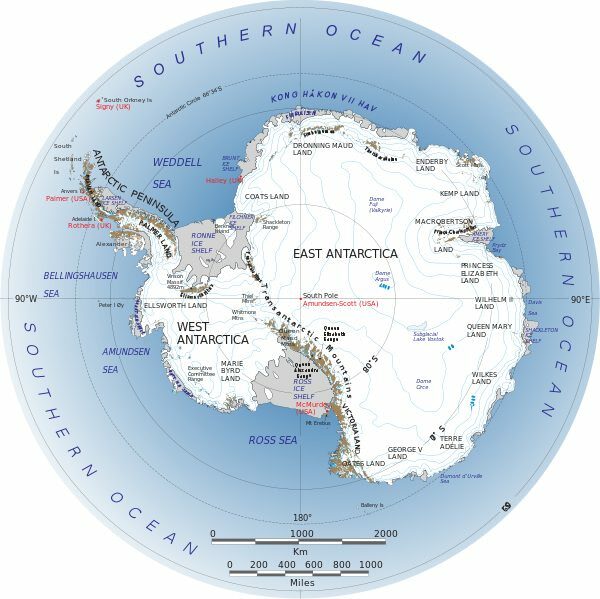 The island was discovered by Gerlache’s Belgian Antarctic expedition of 1897–99, and was named for a vice admiral in the French navy. Large, bare rock areas provide nesting sites for gentoo penguins. Snow petrels and pintado petrels also may be seen while Wilson’s storm-petrels nest in the higher scree of the island. The bay is named for its spectacular scenery of mountains, glaciers and icebergs. From the ship, observe Argentina’s Base Brown, one of many Antarctic research stations. Here, you will set foot on the continent of Antarctica. View the wildlife from sea level while cruising in your Zodiac with one of our experienced Expedition Team members. There’s a good chance you’ll come across a crabeater seal relaxing on a nearby ice floe, or if you’re very lucky, a pod of Minke whales. Arrive to the sight of Adelie penguins covering the entire island. The island is home to 80,000 to 90,000 Adelies that come here to breed. On a nearby hill, view a massive colony of blue eyed shags. Kelp gulls and snowy sheathbills are among the birds that breed on Paulet Island, and Wilson’s storm-petrels are regularly seen. Your Expedition Team guide tells you of Otto Nordenskjold and his party that over-wintered on the island in 1912. Remnants of their hut still remain. If time permits, take a Zodiac cruise to view blue icebergs, Crater Lake and the Adelie penguins making themselves at home on the ice floes. The island is named for German geographer August Petermann and was first discovered by a German expedition in 1873-74. Our onboard geologist will take the opportunity to point out various geological features such as the many basaltic dikes along the shoreline, and the more granite composition of the small summit, where rock surfaces show glacial polish and some glacial grooving. During our landing, we will be able to observe rookeries of Adelie penguins, gentoo penguins and blue-eyed shags. Pleneau Island lies at the south end of the Lemaire Channel, and was first explored during Charcot’s 1903–05 French Antarctic Expedition. The island was named for the expedition’s photographer, Paul Pleneau. Among the common breeding birds are Gentoo Penguins, kelp gulls and south polar skuas. See the gentoo penguins during a landing and southern elephant seals that are often hauled-out in wallows. 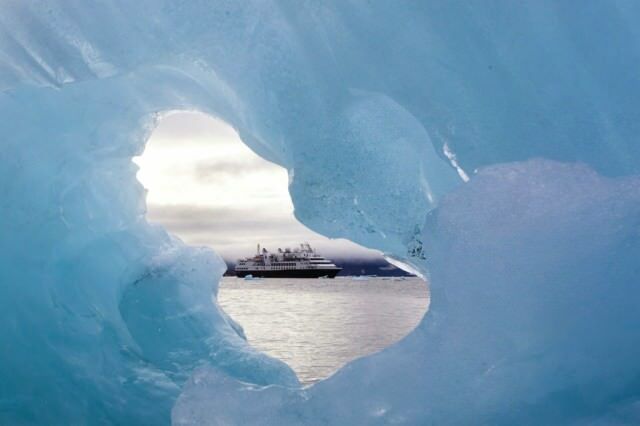 Enjoy spectacular glacial and ice scenery. Deception Island is home to a collapsed volcano and an excellent example of a caldera where it is believed that the volcano’s summit collapsed with one section sinking far enough to allow the sea to flood the interior. We plan to sail inside this breached wall through a narrow entrance called Neptune’s Bellows. Our resident geologist will take the opportunity to explain the unique volcanic features of the area while our historian will introduce you to the whaling history of Deception Island. Still visible on the island are the boilers used to make whale oil in the early 1900s. The British built a listening station here during WWII, which was then used as a research station in the 1950s, and since 1962 as a museum and gift shop. Snowy sheathbills and gentoo penguins roam outside the museum. Sight a whale or two on your Zodiac cruise. Navigating our return through the Drake Passage, we will watch for seabirds and wildlife we may have missed on the first trip. 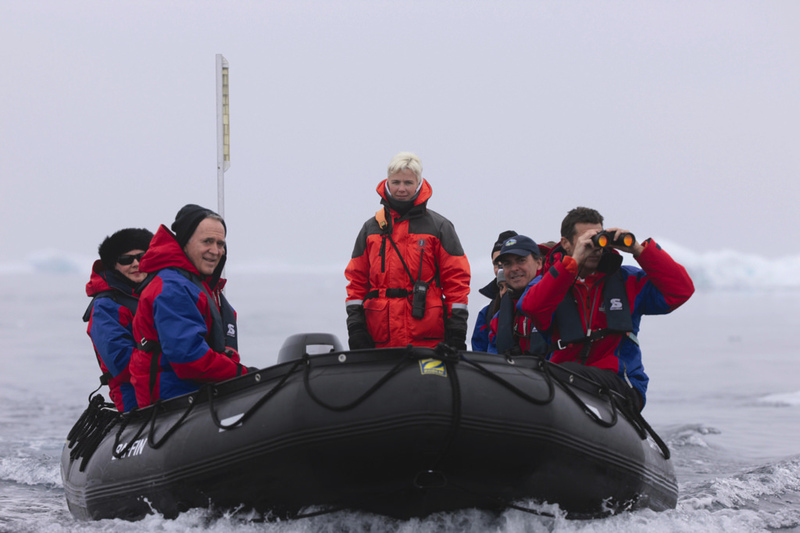 Take this opportunity to attend additional presentations offered by the Expedition Team lecturers and to swap photos with new friends as we travel toward Ushuaia.